April 5 was a cold and wet April day at Maryland’s Assateague State Park, but it was a heartwarming one for the staff at the National Aquarium’s Animal Care and Rescue Center in Baltimore. 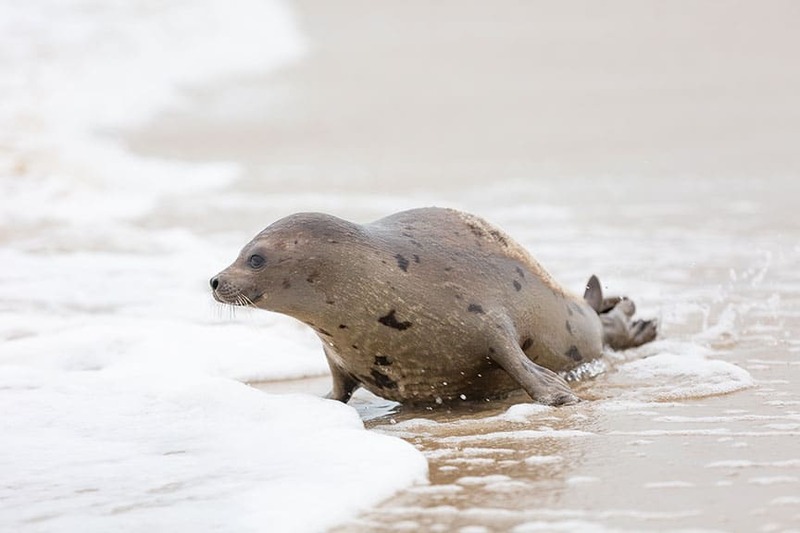 After spending more than two months at the rescue center, a young female harp seal named Marie Tharp was finally healthy enough to be released back into the ocean. As we reported in March, the veterinary team at the Animal Care and Rescue Center in Baltimore was treating two harp seals for a variety of ailments, including dehydration, respiratory illness and an internal infection. The staff named them Marie Tharp and Sally Ride, who were nicknamed for famous scientists, which is the rescue center’s animal-naming theme for the 2018-19 season. Marie Tharp was a famous geologist and cartographer and Sally Ride was an American astronaut, physicist and engineer. Marie Tharp was admitted to the rescue center on January 29 and given fluid therapy and antibiotics until staff determined she was healthy enough to be released back into the wild. 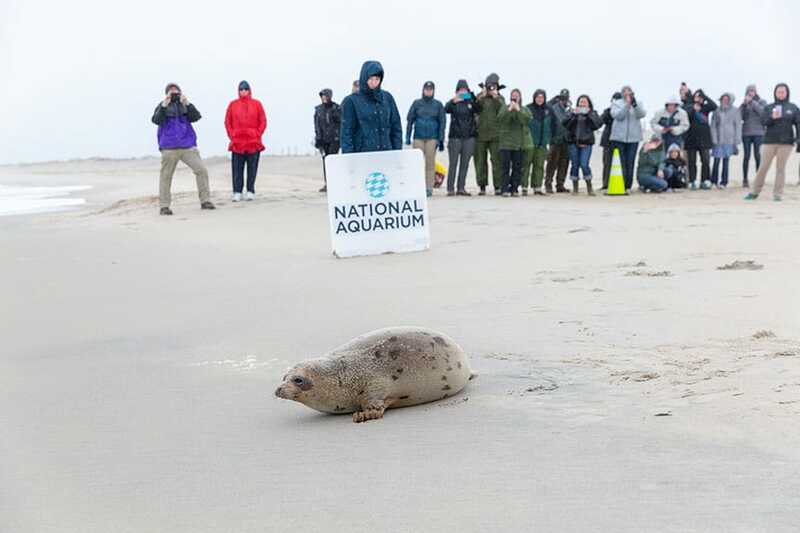 On April 5, Marie was brought to the beach at Assateague, where National Aquarium staffers opened her crate and let her get acclimated to the environment. 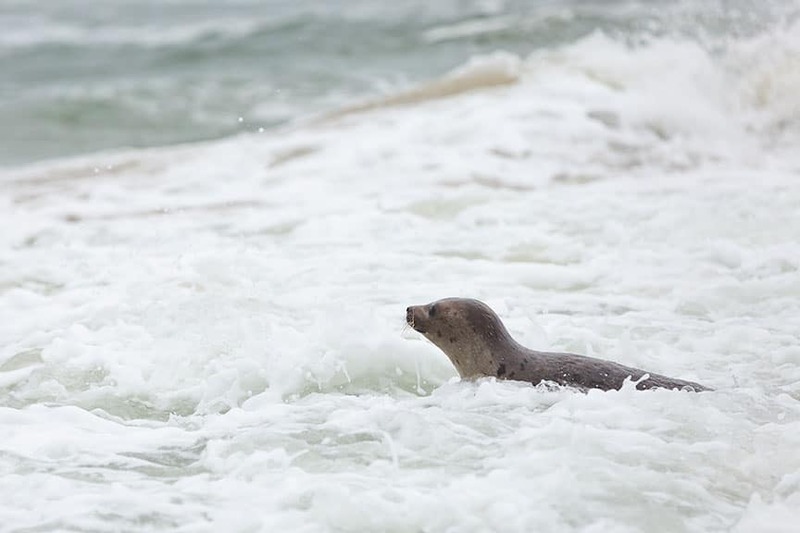 The young harp seal was initially hesitant, but soon bounded into the ocean. The Animal Care and Rescue Center is home to state-of-the-art seal rehabilitation suites.